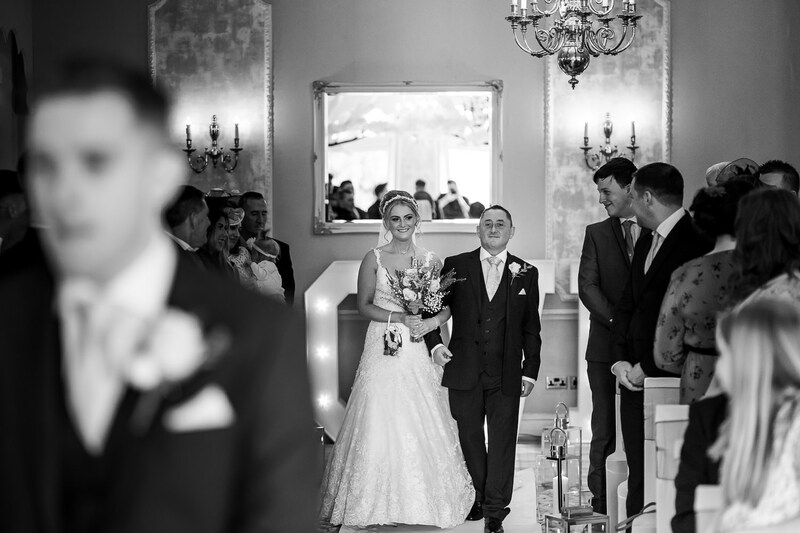 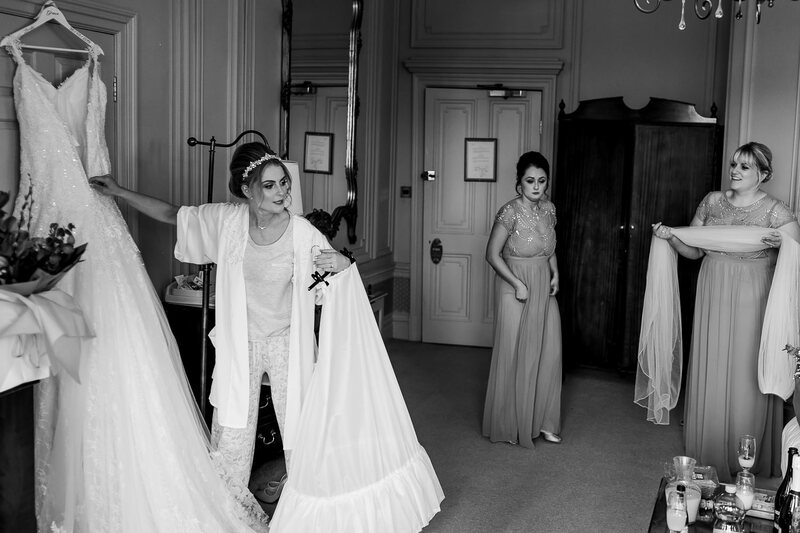 I am delighted to share this sneak peek from the wedding of Grace and Sam at Merewood Country House Hotel. 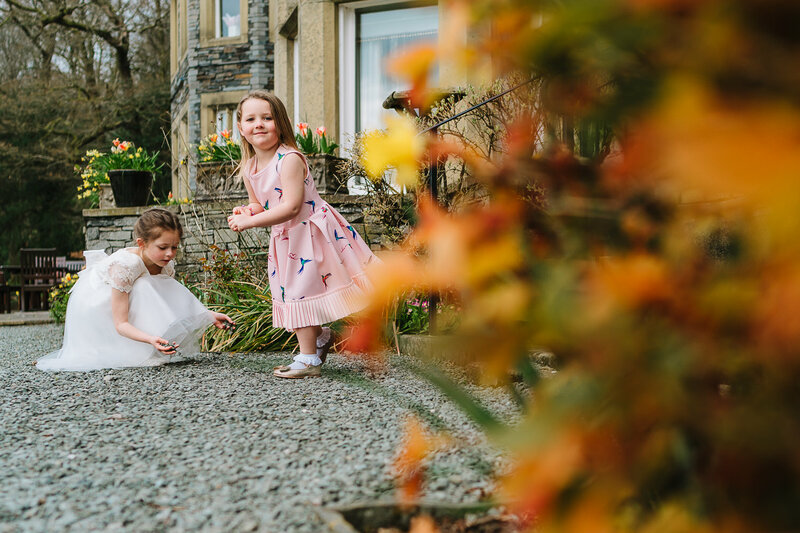 Overlooking Windermere, Merewood was built in 1812 this fabulous hotel has retained much of its historical charm with many of the original features lovingly restored, including the panelled hall and reception. 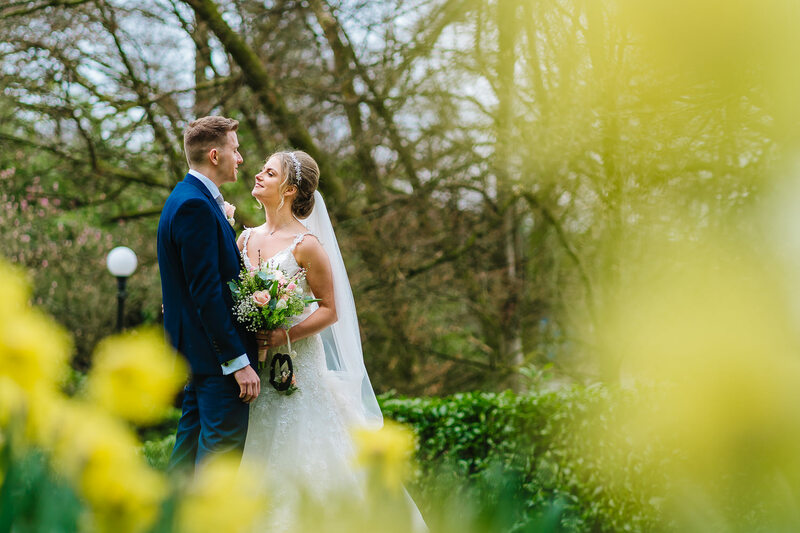 Merewood really is an incredible wedding venue and I am so pleased to finally be a Merewood Country House Hotel Wedding Photographer! 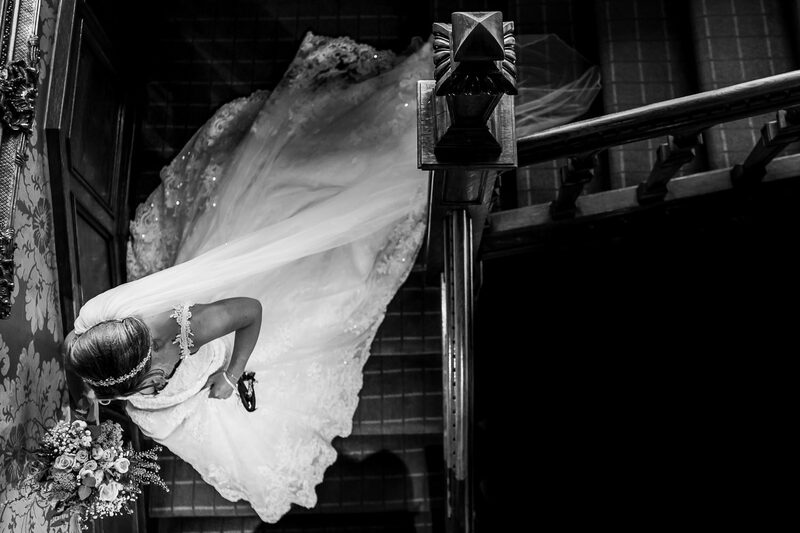 Arriving a few hours before the ceremony it gave me enough time to spend sometime with both the bride & the groom in the morning. 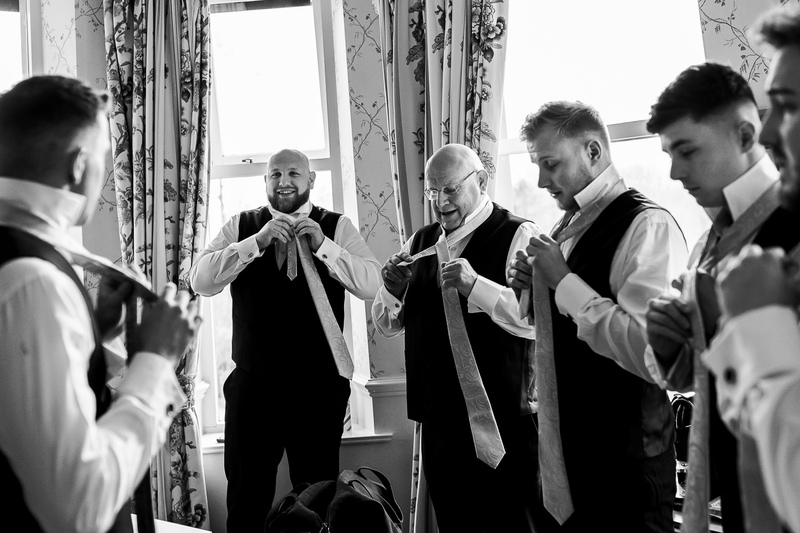 My day started with Sam and his groomsmen and Grace was having a lovely relaxed morning with her bridesmaids and family. 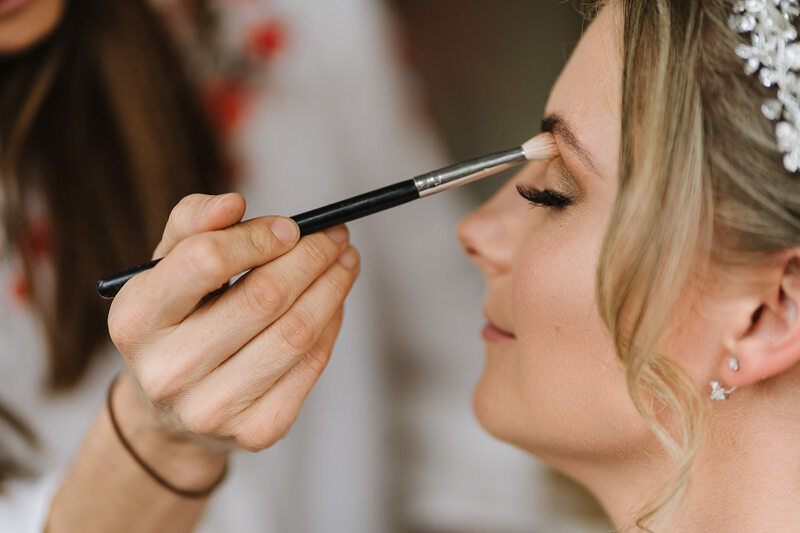 With everyone’s make up being done by Keseme Goodwin and hair by Katie Simpson it was a great morning. 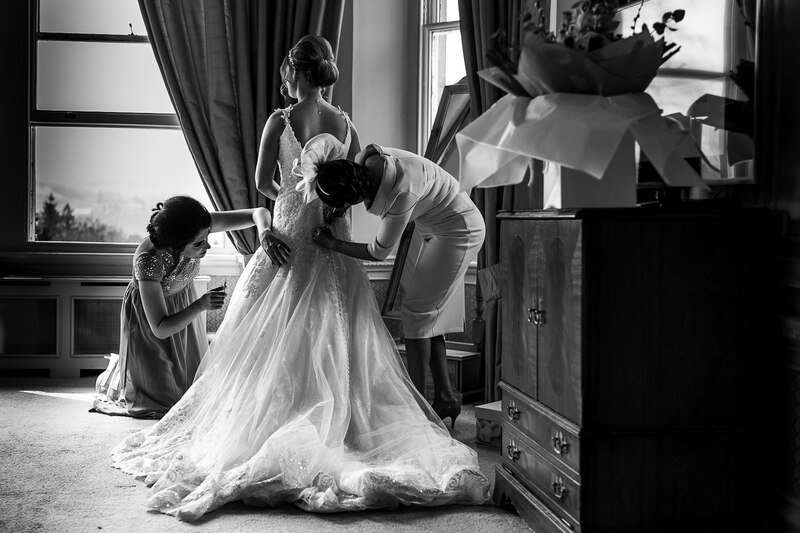 It is always great going between the both preparations in the morning of the wedding, it really helps tell the whole story of the day. 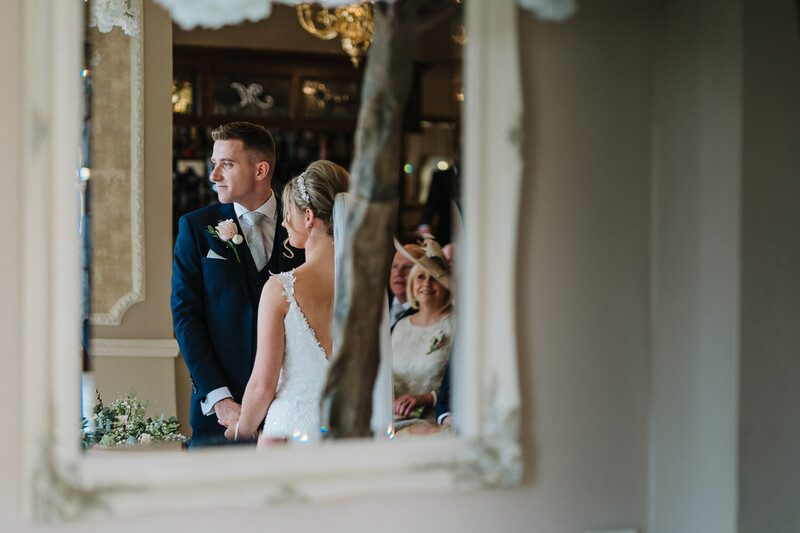 Soon enough it was time to the tie the knot, Merewood is such a stunning place to get married the beautiful architecture and decor really makes this venue stand out from the rest. 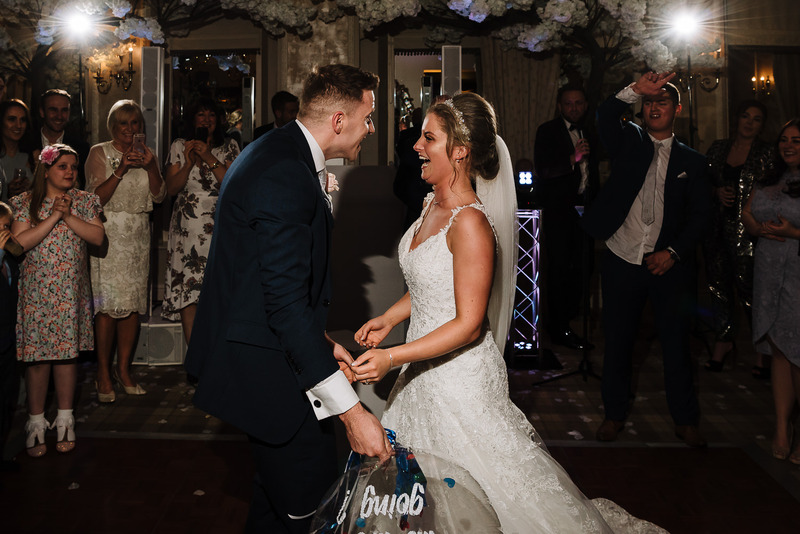 It was a lovely ceremony and you can tell how happy Sam & Grace are. 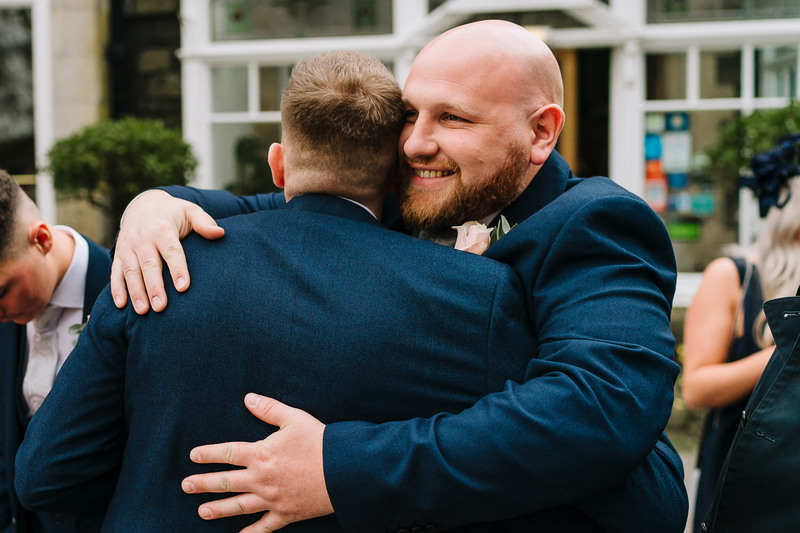 With plenty of tears by a number of people! 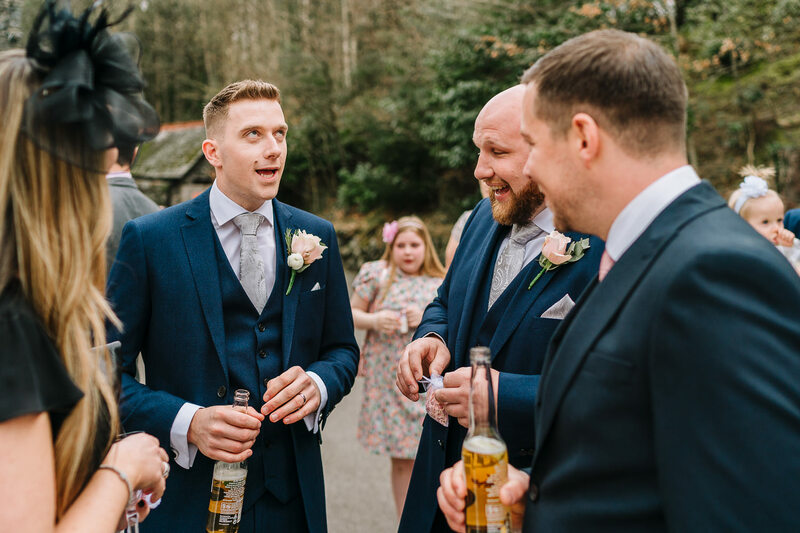 Once the formality of signing the register was complete we headed on to the reception drinks. 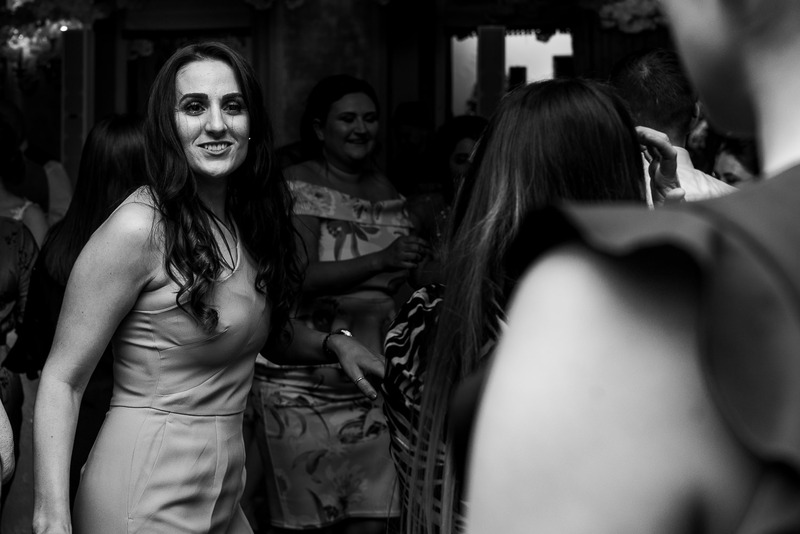 All the guests were busy chatting and having a great time. 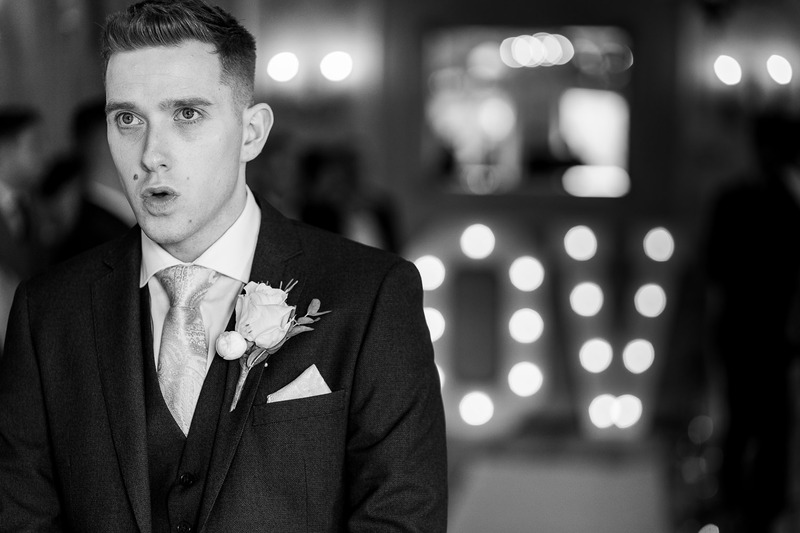 The newly weds had put on some great entertainment all day with DFC the evening entertainment, during the reception drinks and early evening Nicholas James Gunn was on there to entertain everyone with some fantastic singing. 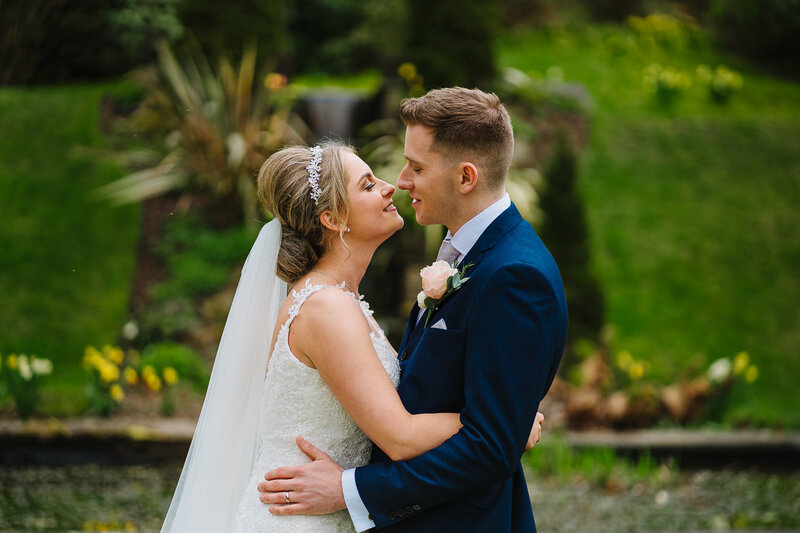 Merewood Country House Hotel in the Lake District provides the perfect backdrop for natural, relaxed & unobtrusive wedding photography. 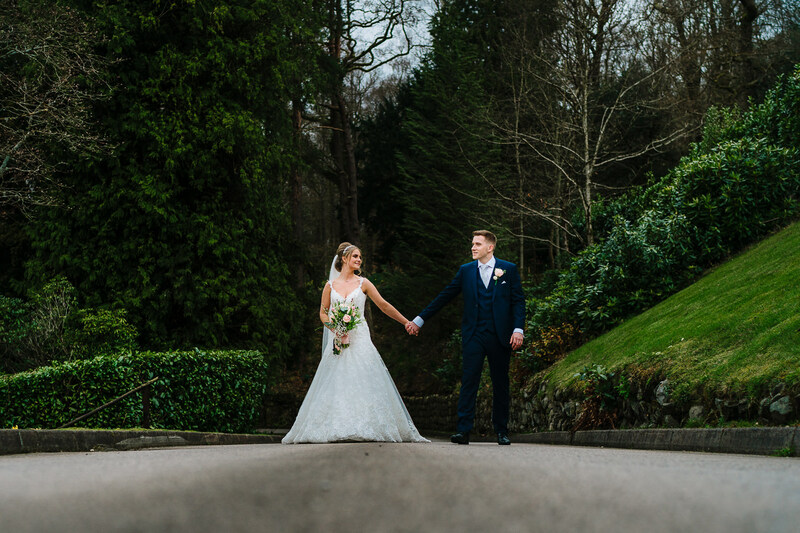 With views over Lake Windermere, it is great to spend a little bit of time for couples portraits. 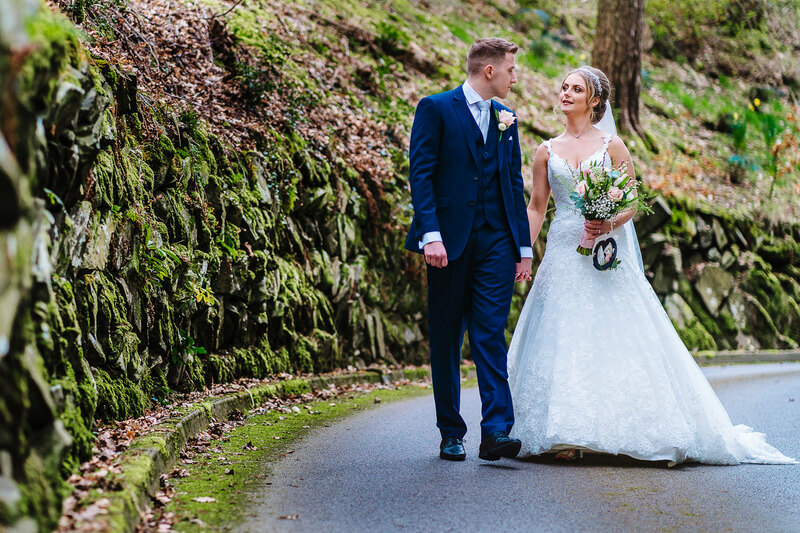 We went off for a little walk around the grounds just before the speeches and wedding breakfast. 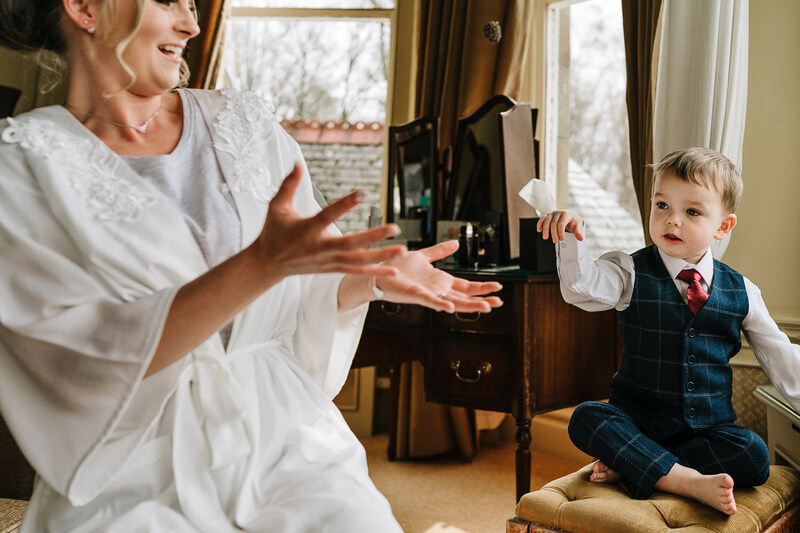 I absolutely loved spending time with Grace & Sam and can’t wait to return to Merewood Country House Hotel in the future. 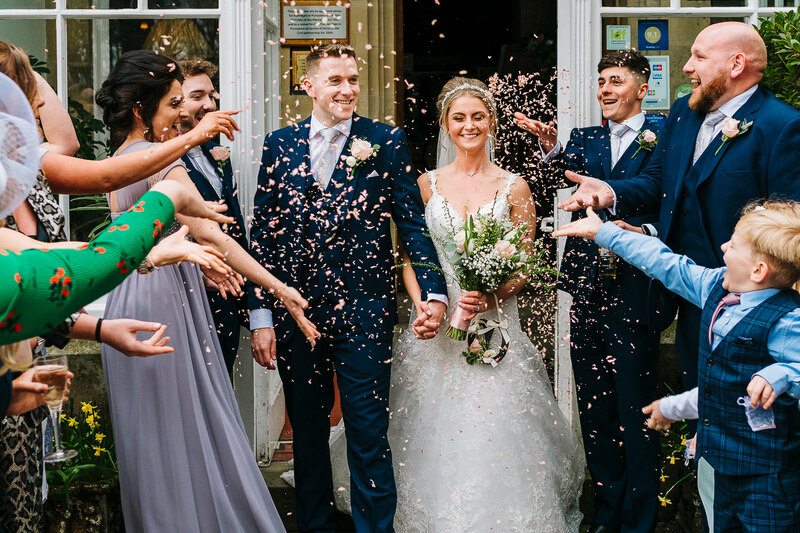 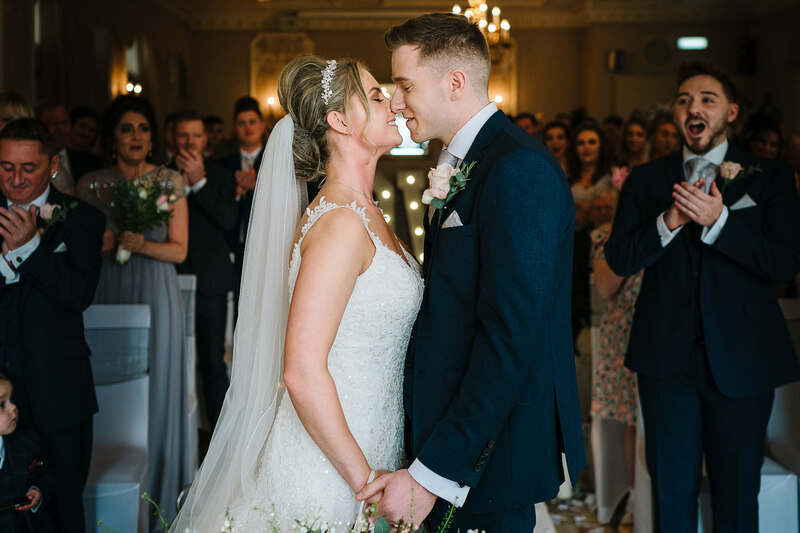 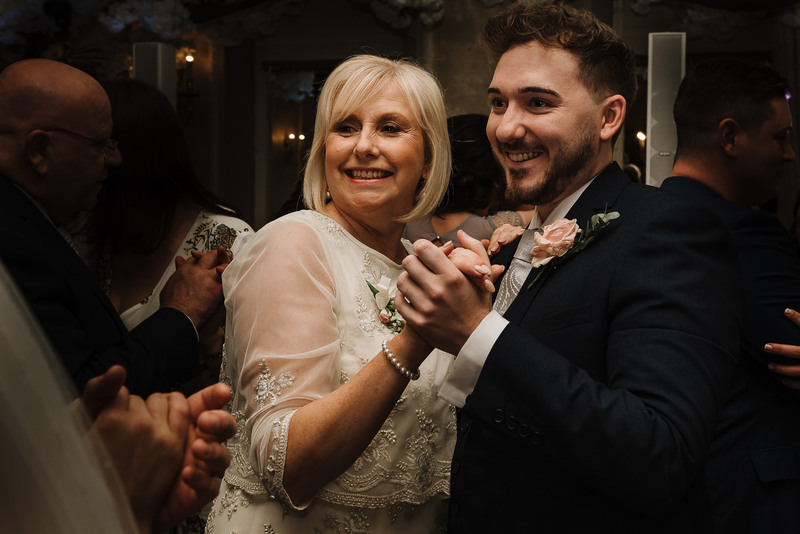 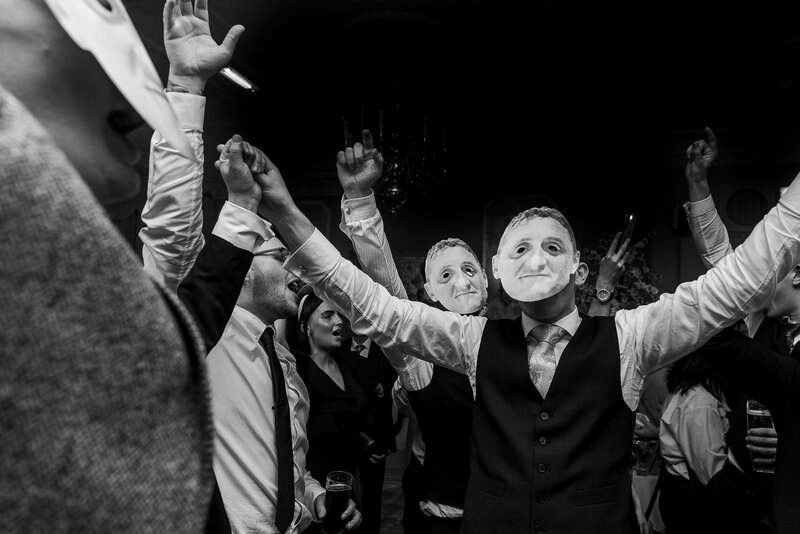 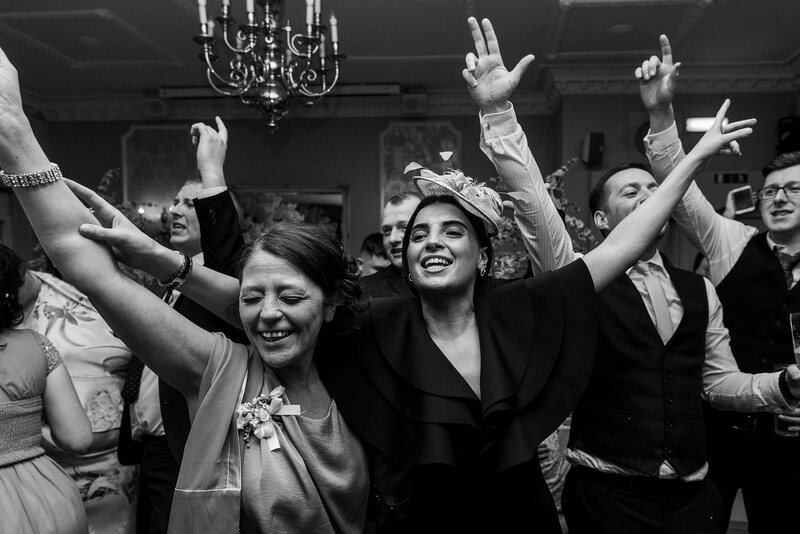 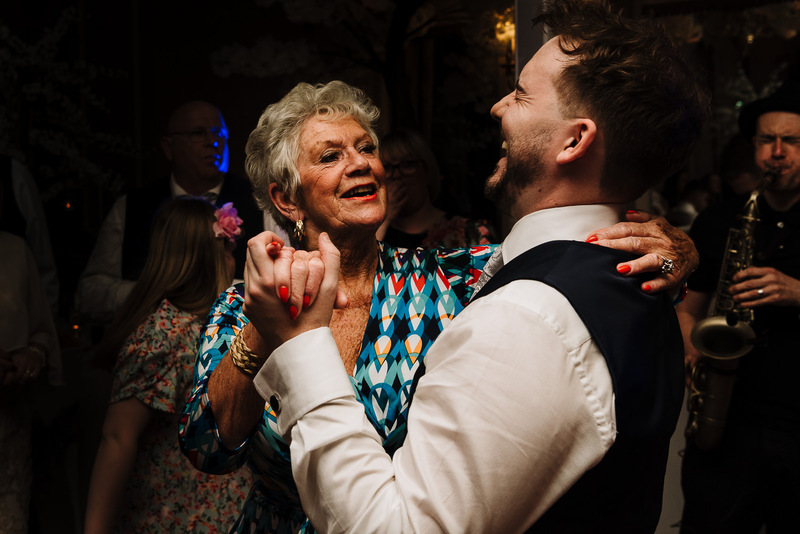 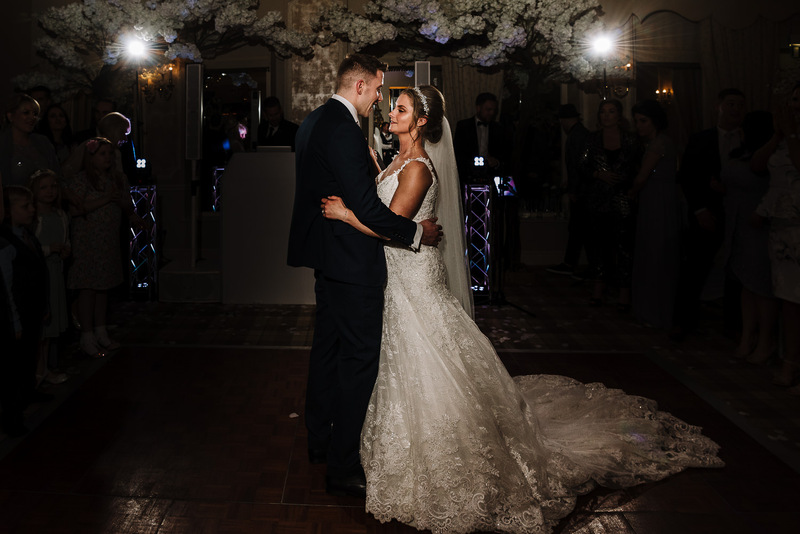 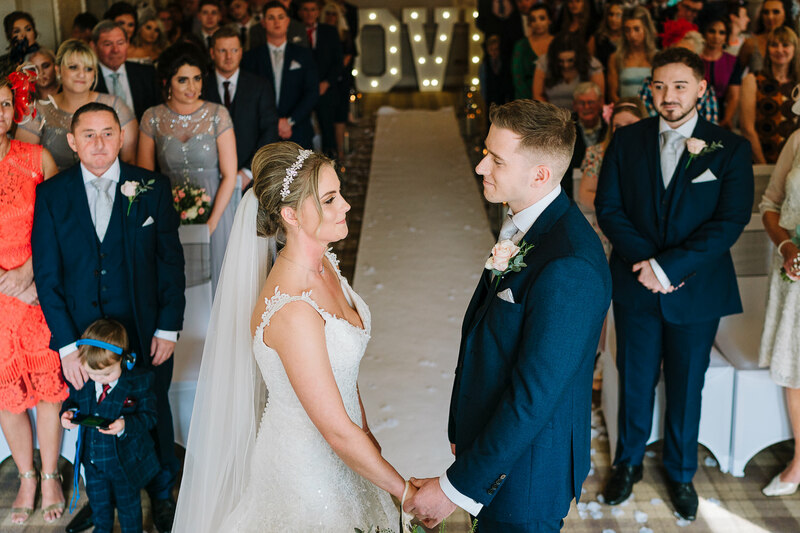 The newly weds asked me to stay until 10.30pm for this wedding as they knew it was going to be a good party – they weren’t mistaken as after the cake cut & first dance the dance floor and atmosphere was fantastic. 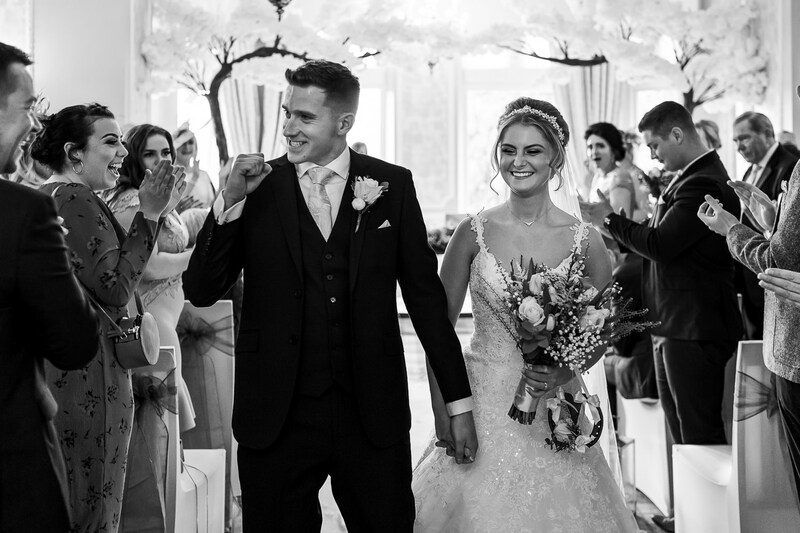 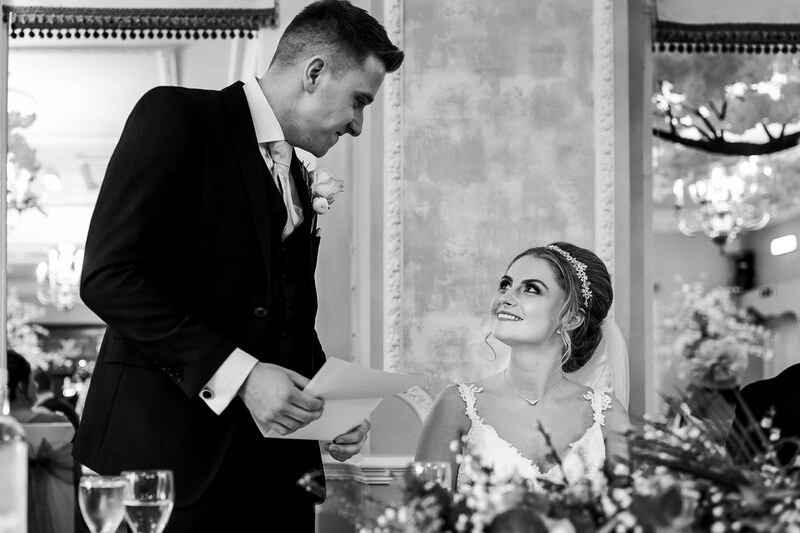 Just after first dance – Grace surprised her new husband with a trip to New York! 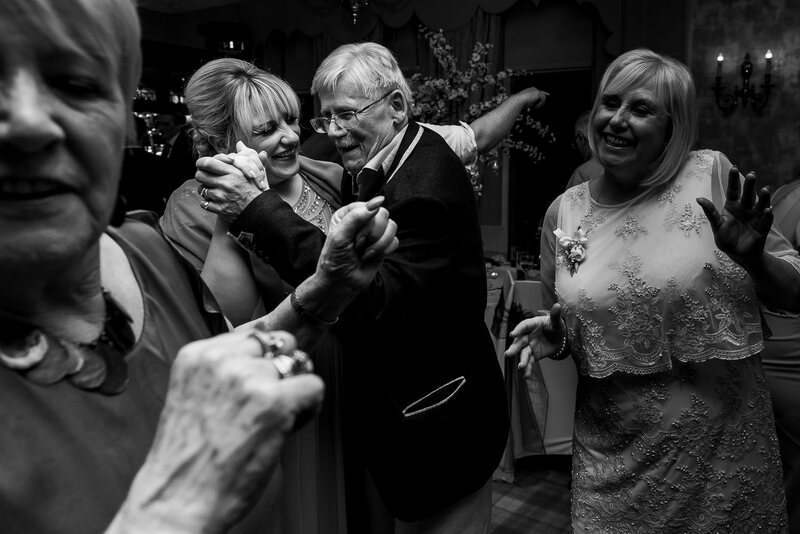 I love weddings like this, the dance floor was class. 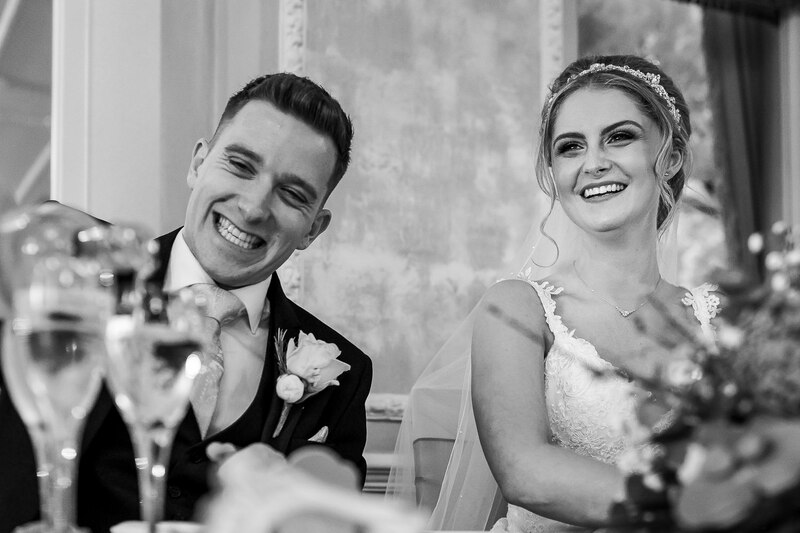 It really is great to be a wedding photographer at Merewood Country House Hotel, thank you Grace & Sam for having me along to tell your wedding story! 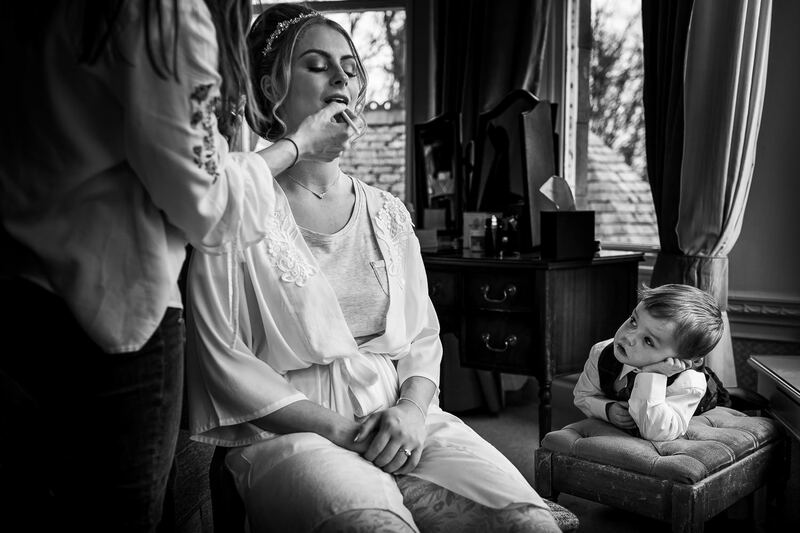 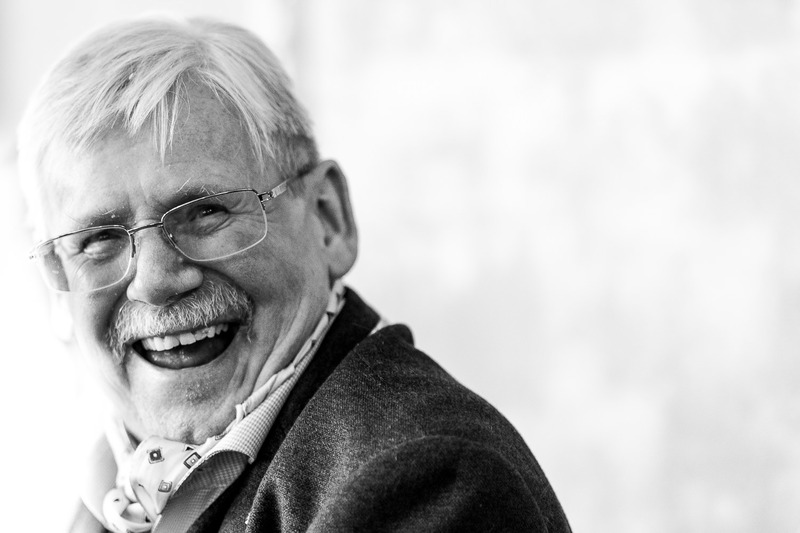 My style of photography is relaxed, natural and unobtrusive, capturing the day as it happens. 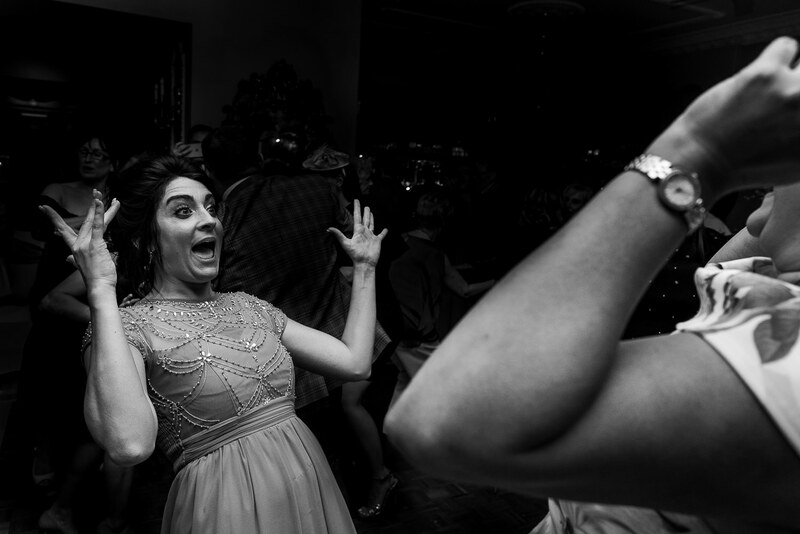 What that means is almost completely unposed wedding photography throughout the whole day. 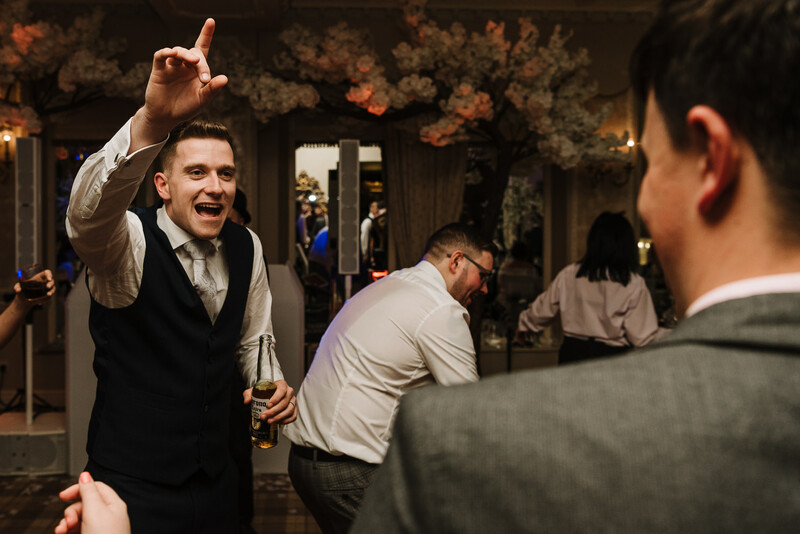 I want you to spend time with your friends and family and ignore me. 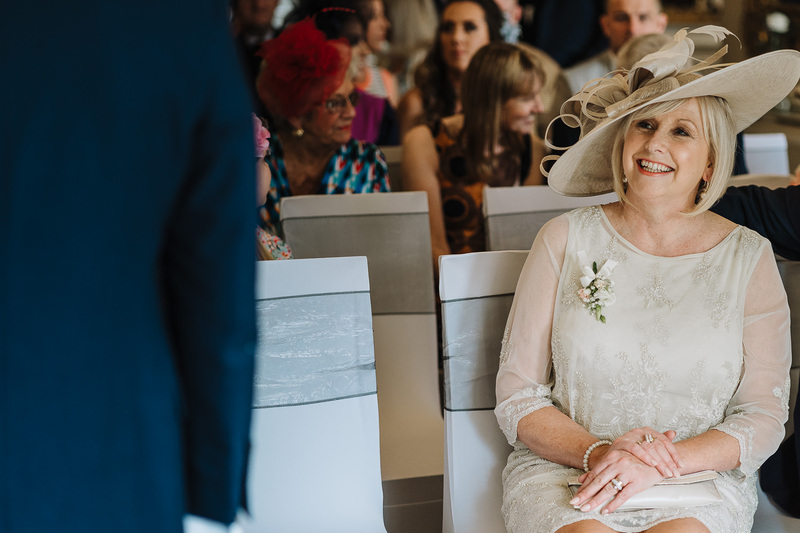 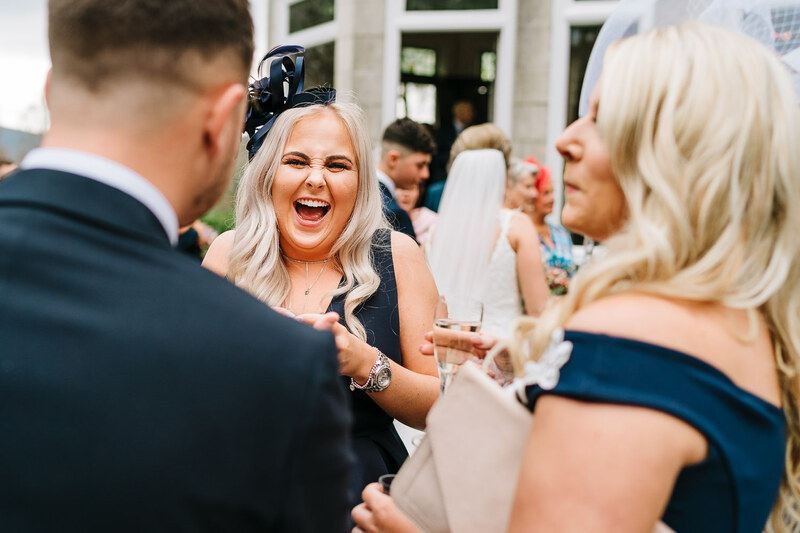 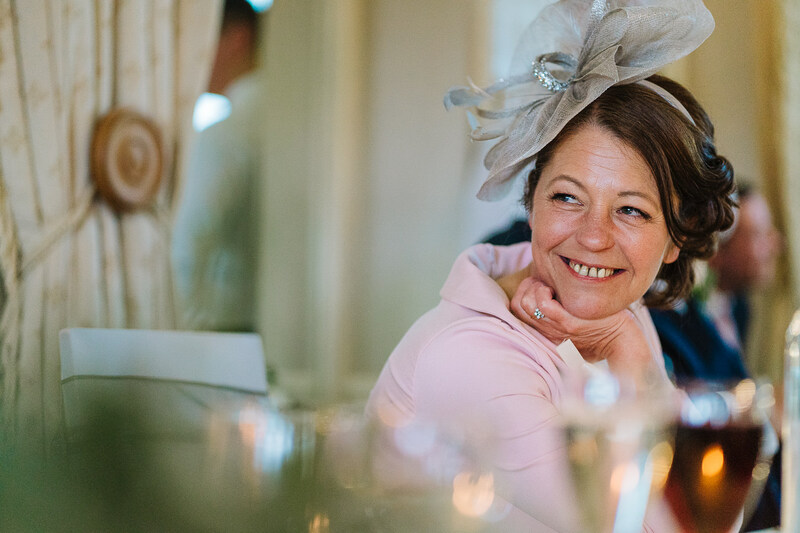 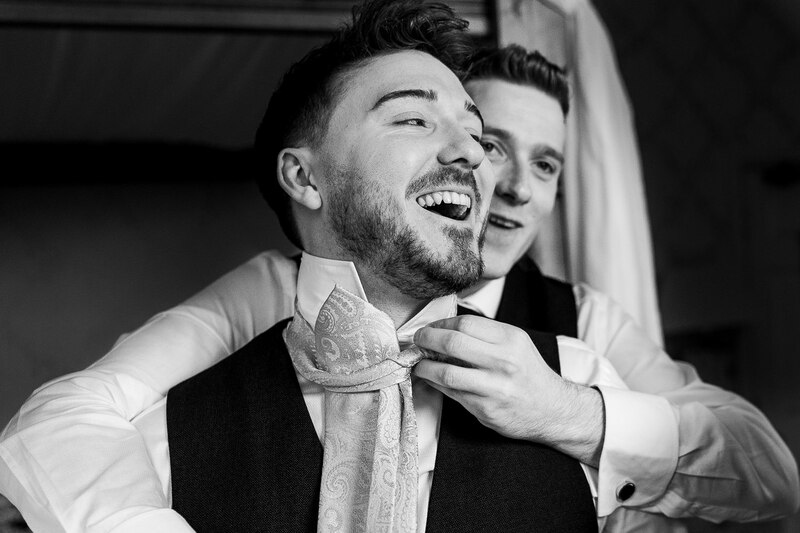 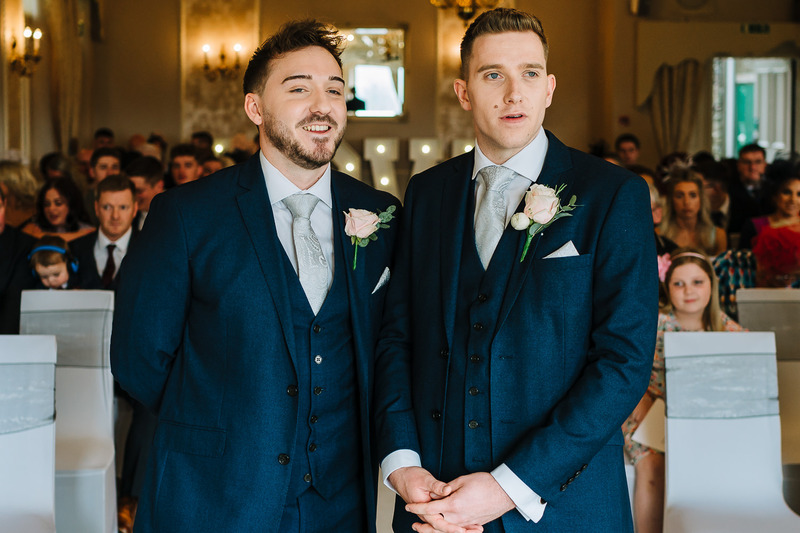 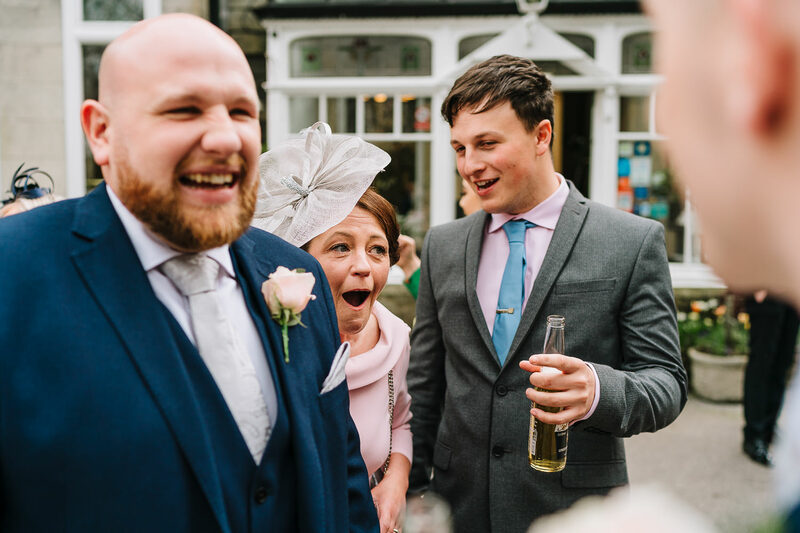 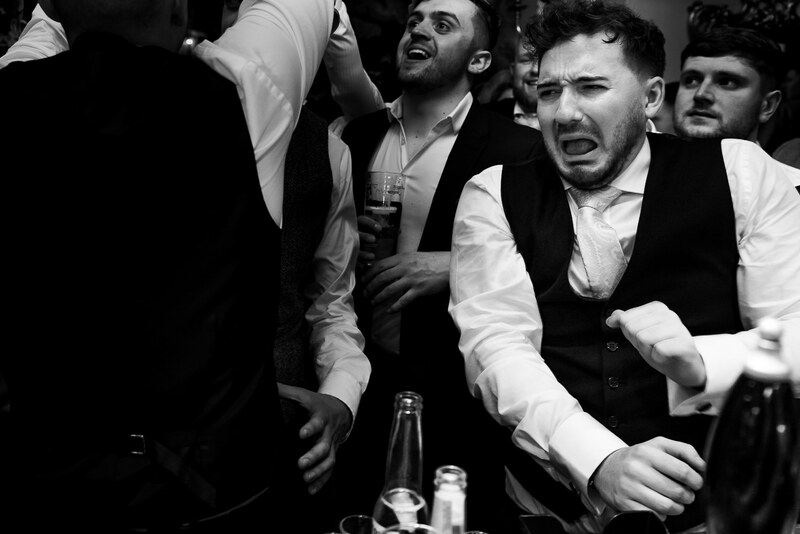 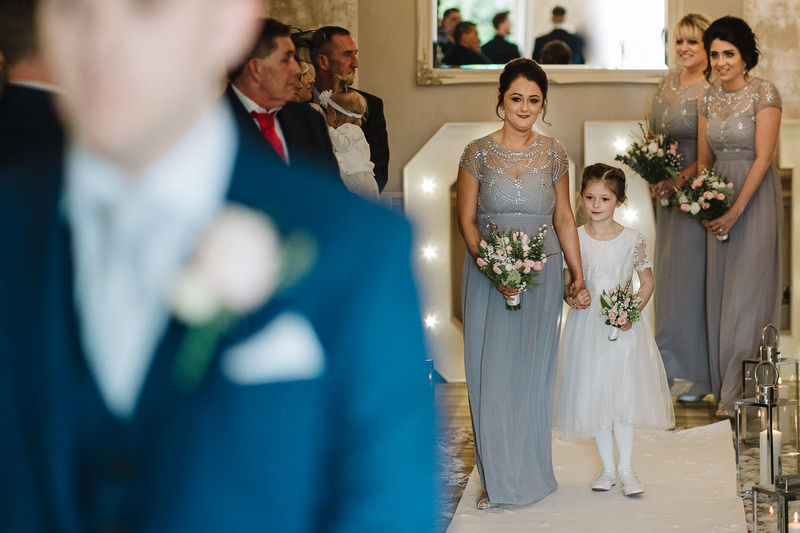 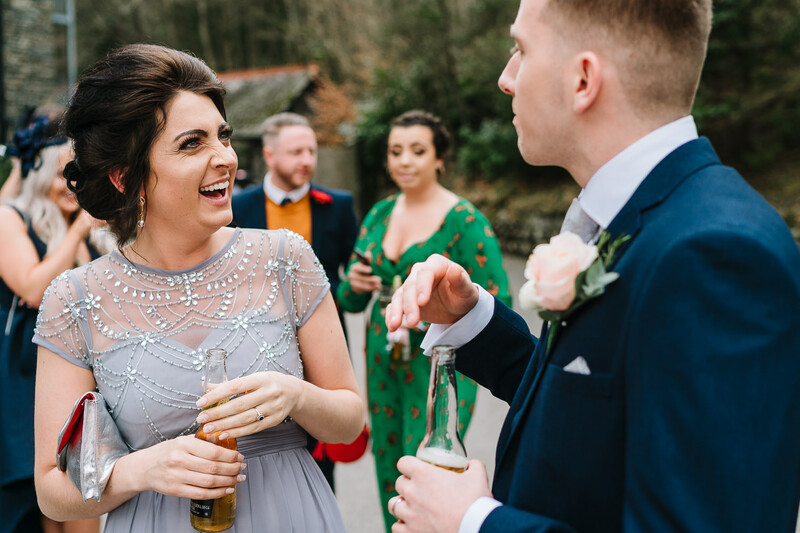 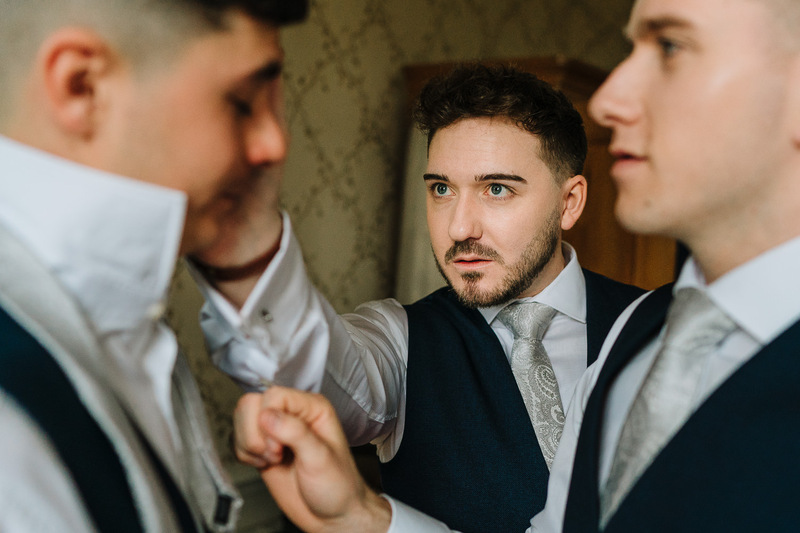 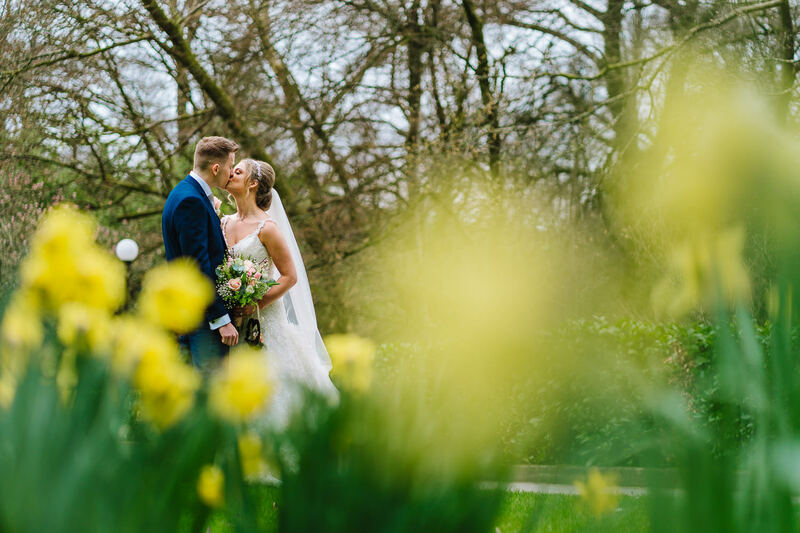 I am a really laid back and relaxed wedding photographer that will capture your wonderful day as it happens, with minimal fuss and no waiting around. 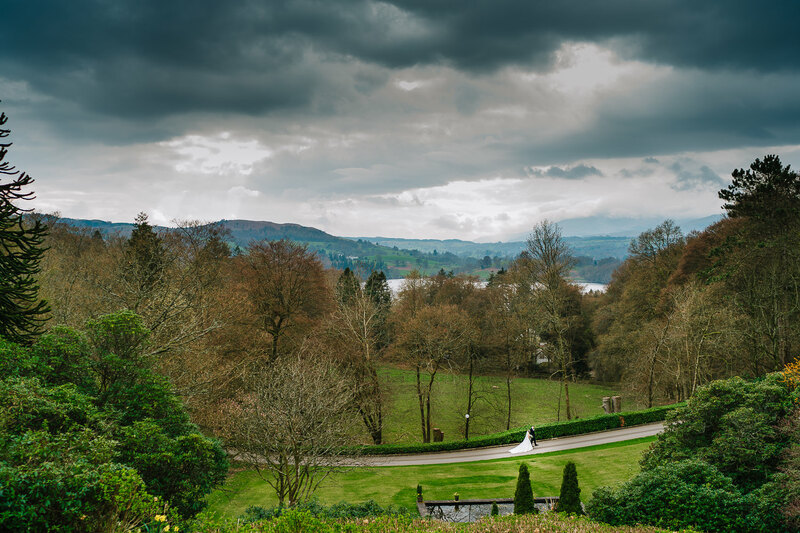 If your getting married in the Merewood Country Hotel or anywhere else in the Lake District then please get in touch.